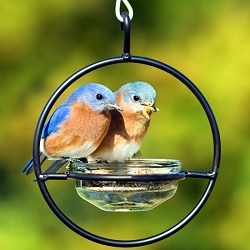 Attract colorful Bluebirds and Orioles to your yard! 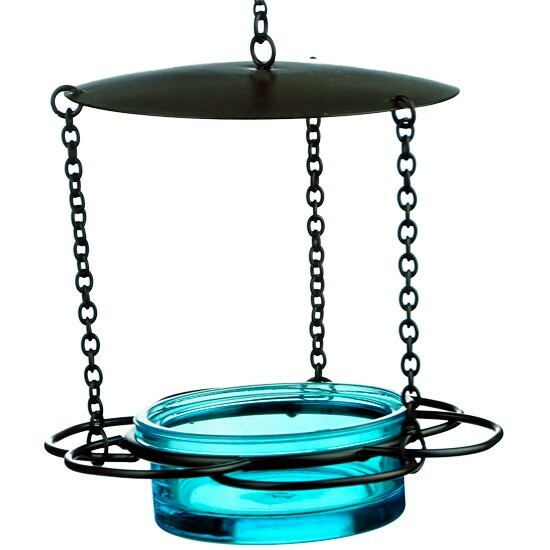 Covered teal recycled clear glass dish with 21" hanger! 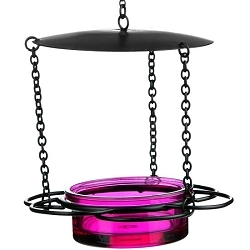 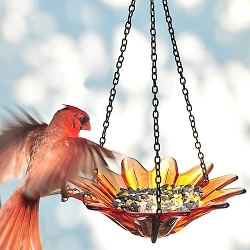 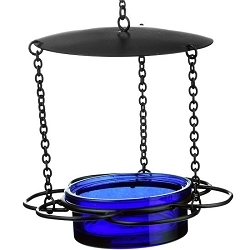 Our 21" Hanging Floral Mealworm & Jelly Feeder is made of 40% post consumer recycled glass and metal, this feeder without drainage is perfect as a mealworm feeder, jelly or suet pellet container. 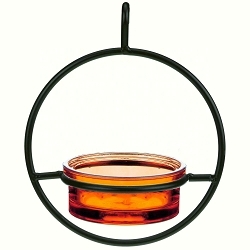 Glass dish holds 3.4 ounces. 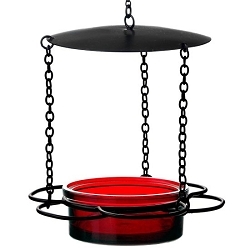 Metal baffle cover hangs 6" above dish to help protect feed from rain and snow. 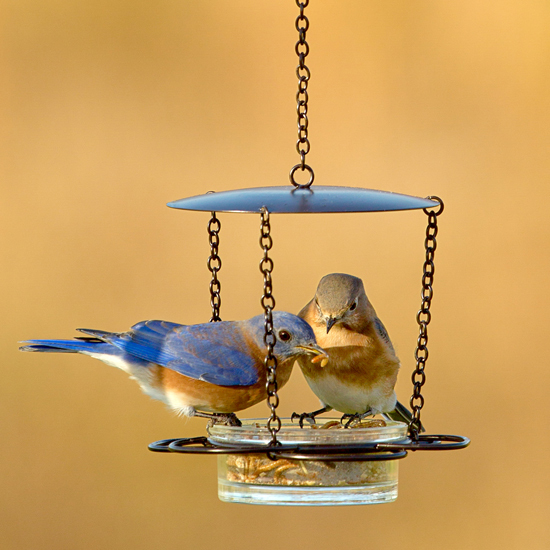 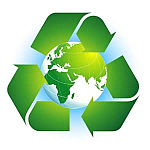 It will attract many songbirds such as Bluebirds, Orioles, Juncos, and other species depending on your location and season. 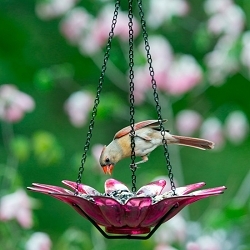 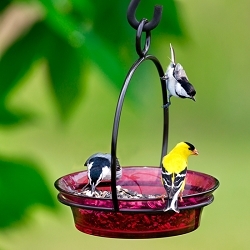 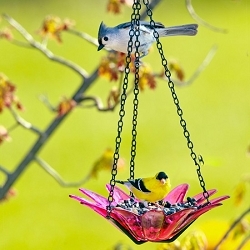 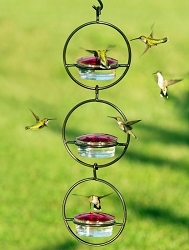 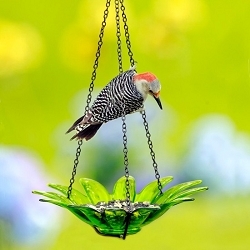 It's unique floral wire design works great as a perch for the birds to rest while eating! 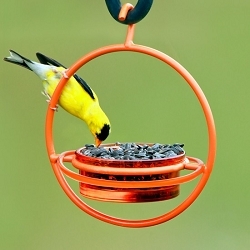 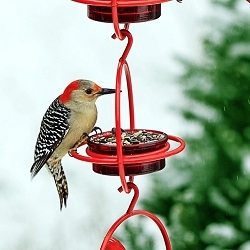 Makes a wonderful gift for the backyard birding enthusiast! 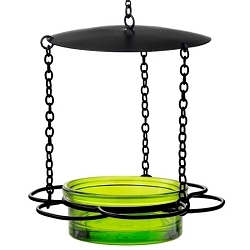 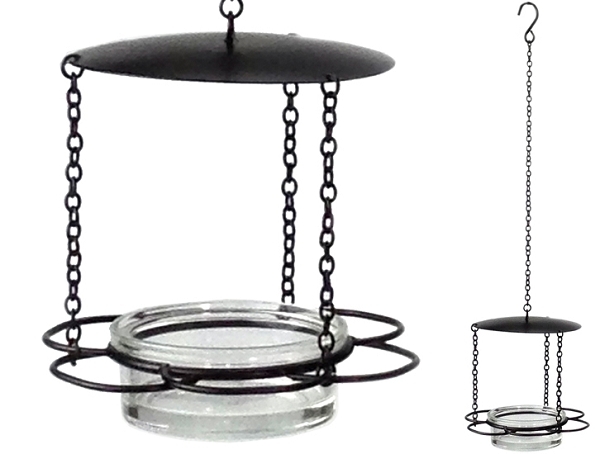 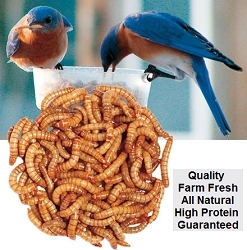 Save $$ when you buy two or more 21" Hanging Floral Mealworm Feeders Teal! 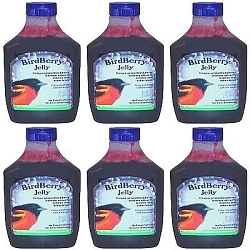 Discount given at checkout.